Milk and other dairy products provide significant nutrients for pregnant women. An Expecting Mother needs enough amount of right nutrients which helps the baby to grow and supports self-health during pregnancy. Also, according to few studies intake of enough vitamin D during pregnancy may reduce baby’s future risk of developing allergies. Milk is an important source of vitamin D which prevents neonatal rickets and low birth weight. Drinking milk will meet your vitamin D requirements more than above 50%. Babies tend to weigh more and grow more quickly if expectant mothers drink an adequate amount of milk daily. According to some new researches, Babies born to women who drink milk during pregnancy are more likely to be tall in their teenage. Milk is an ideal source of calcium, proteins and vitamins which is essential for pregnant women. 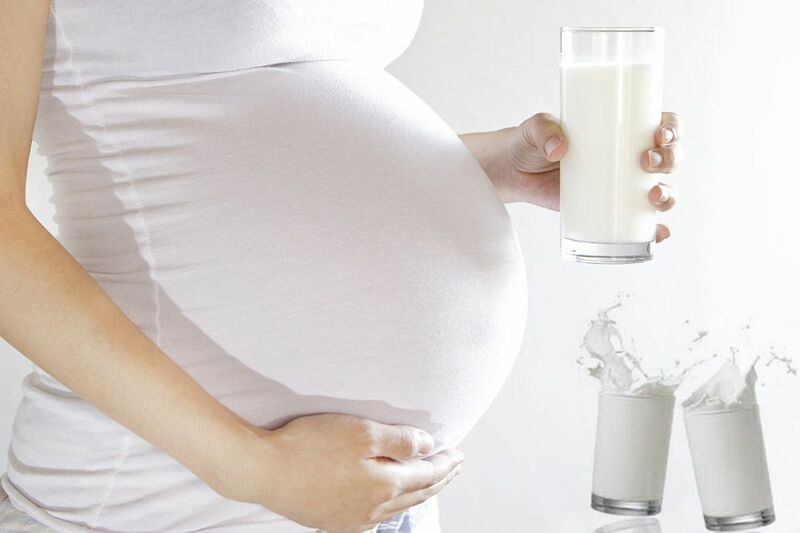 Milk is an important source of dietary calcium for pregnant women. If you don’t consume enough calcium-rich foods like milk during pregnancy, you will lose calcium from your bones to meet your baby’s needs for this mineral. Protein helps in building the uterus, blood supply, nourishes the breasts and baby tissues. Drinking low-fat milk every day will meet more than one-third of your protein needs during pregnancy. According to USDA recommendations, pregnant women should consume three cups of milk or other dairy products each day. Milk make us fair of face, strengthen our bones, strengthen our teeth but also sharpen our brains to help us do well in our studies. Milk contains almost all the essential vitamins, minerals and other nutrients which our body need in varying quantities. Milk is nectar for human organism and one of the basic of all foods. For infants, mother’s milk constitutes a complete diet and for adults, it is a wholesome meal by itself or can be taken along with cereals, added with shakes etc. Milk is regarded as complete food. One glass of milk contains about 150 calories of energy. It contains protein, fat, carbohydrates, all known vitamins, various minerals and all the food ingredients considered essential for sustaining life and maintaining health. 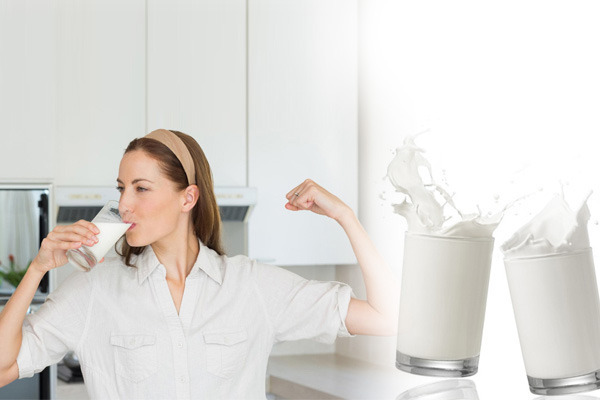 The protein of milk is of the highest biological value and it contains all the amino acids essential for bodybuilding and repair of body cells. No wonder then that milk is considered to be a complete food in itself. It’s a nutritious, creamy snack for a youngster, a natural sports recovery drink for active teenagers and adults, and often the morning life-saver to kick start our day. And at the end of the day, warm milk before bedtime helps soothe the soul and aids a good night’s sleep.